What did the three little pigs want to do? 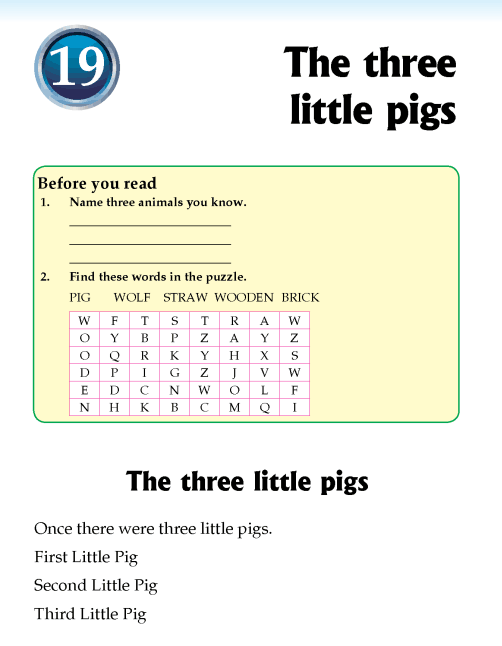 What type of house did First Little Pig want to build? Were the straw house and the wooden house strong? What did Third Little Pig do when the wolf climbed to the chimney? What type of house did the three little pigs live in at the end?